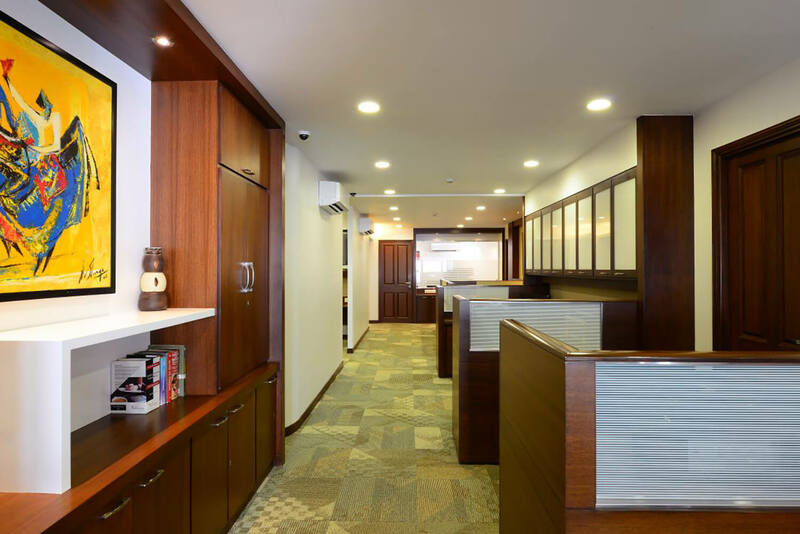 The seamless tie up of the old with the new office space provides a sense of homogeneity to the free flow of the design language, expressed as the salient feature of the project. 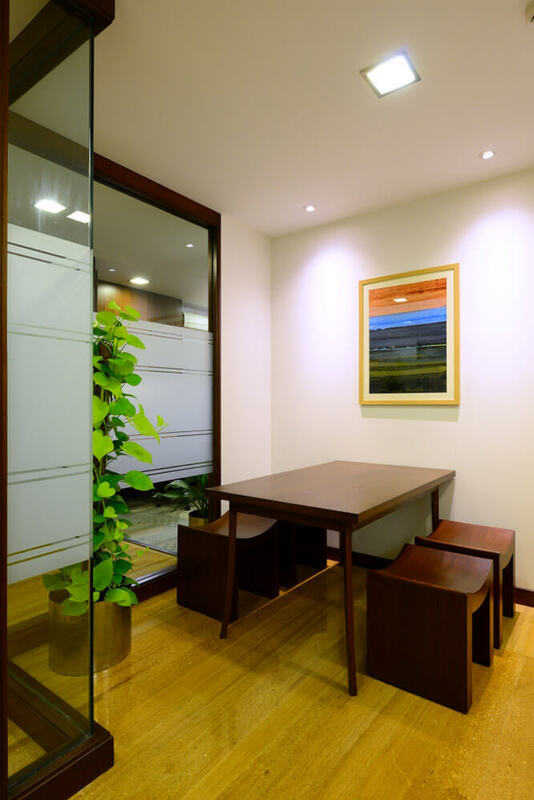 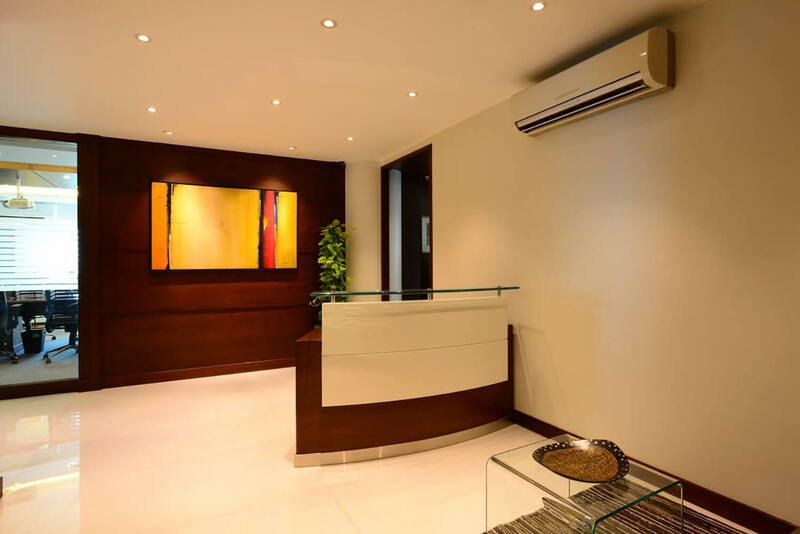 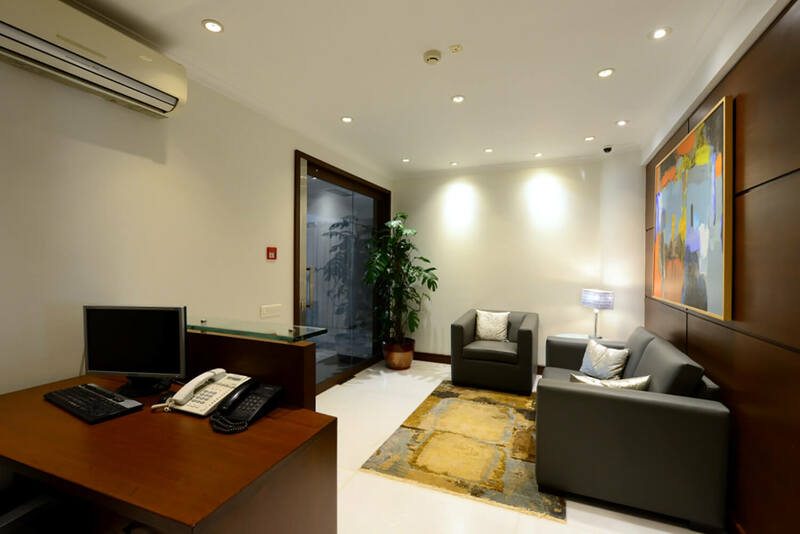 The efficiency in the office design comes with the adept spacing out of the respective work zones, beginning from the staff workstations to the cubicles and senior management cabins, along with the public spaces, inclusive of the cafeteria and akin utilities. 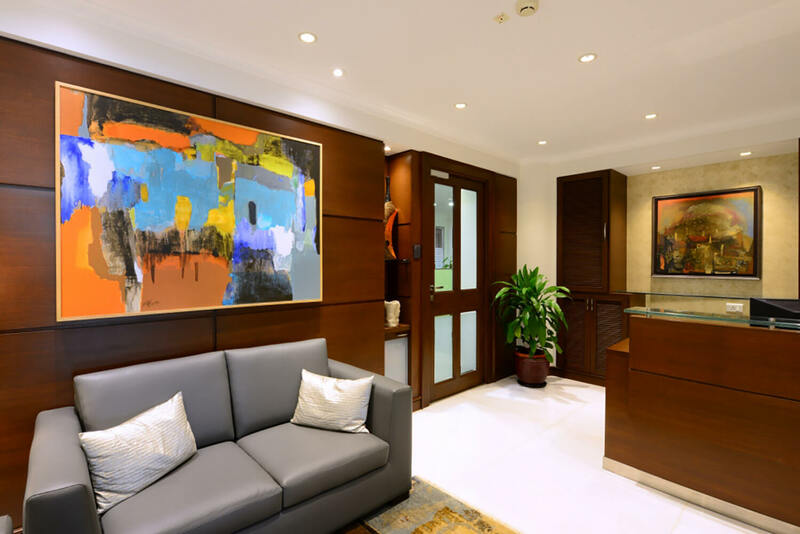 In the advent of a reinvented, largely contemporary reception space, exclusive to the managing director, another accompanies the former positioned at the reverse end catering to visitors and customary requisites. 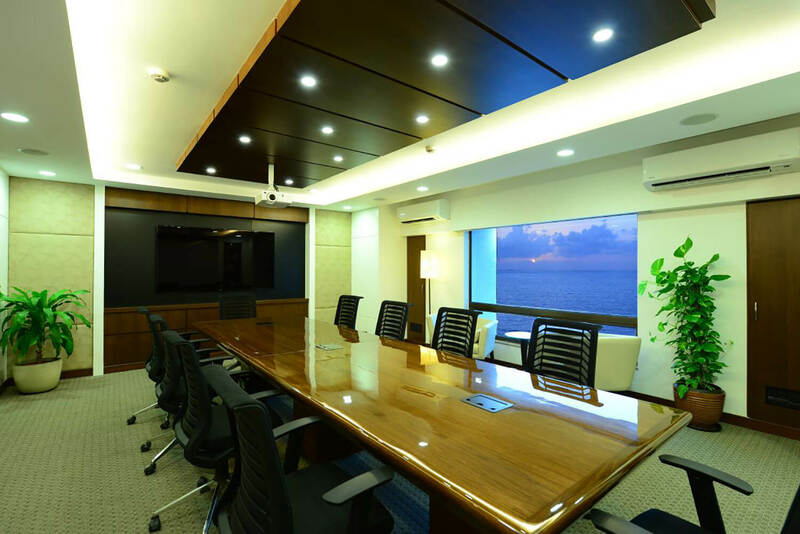 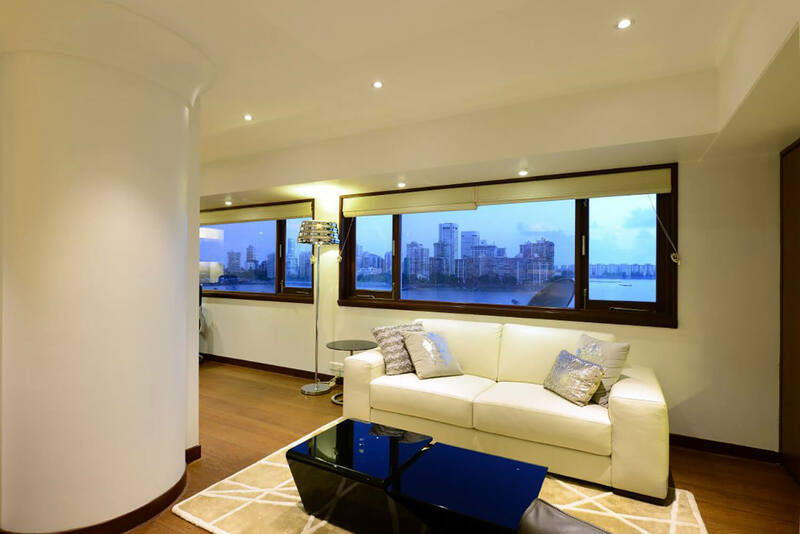 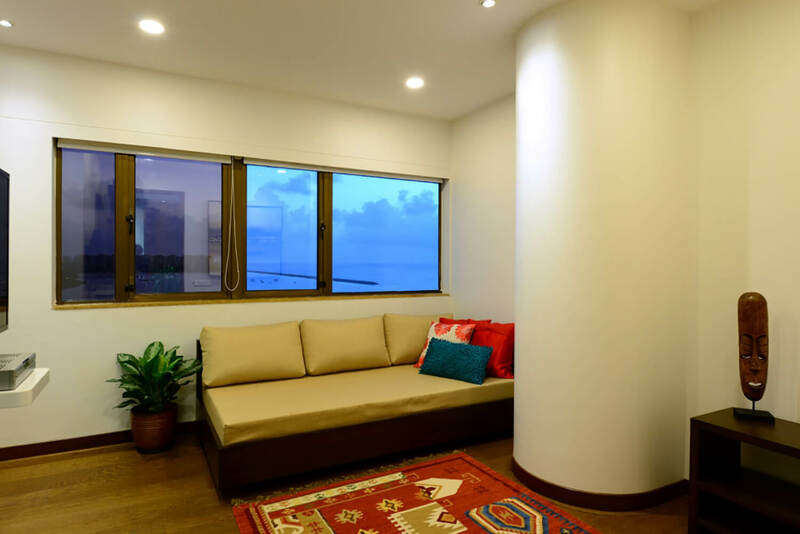 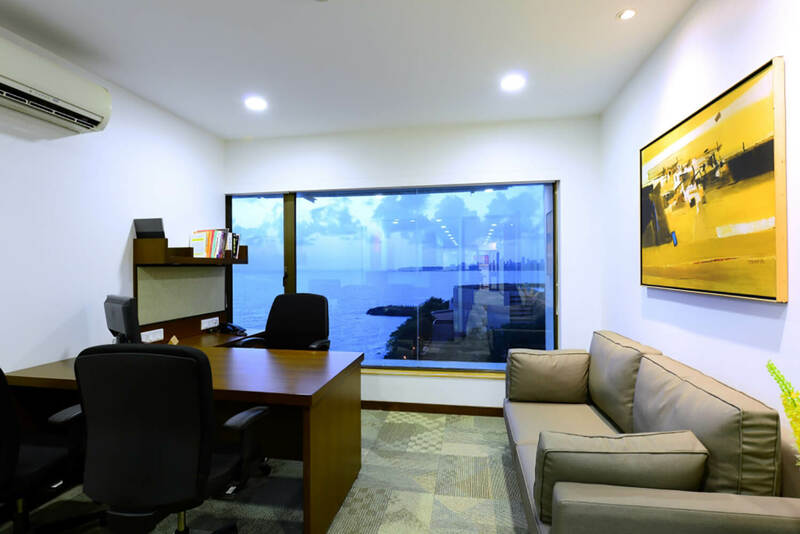 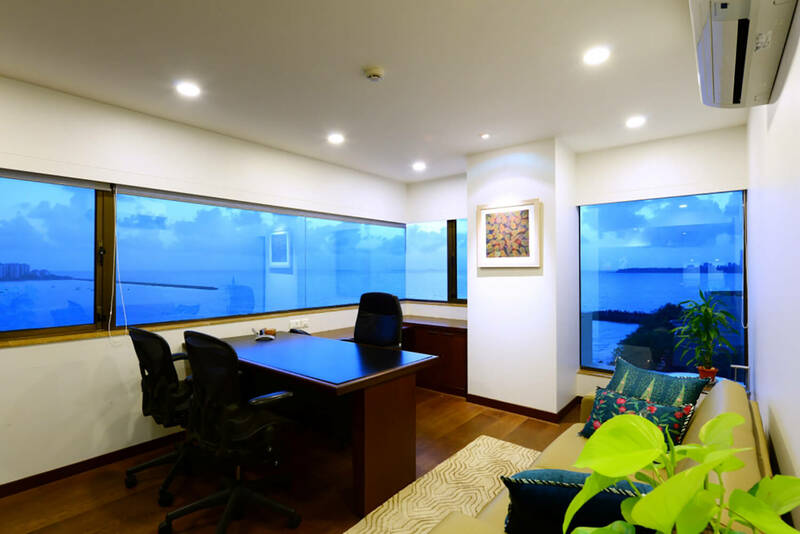 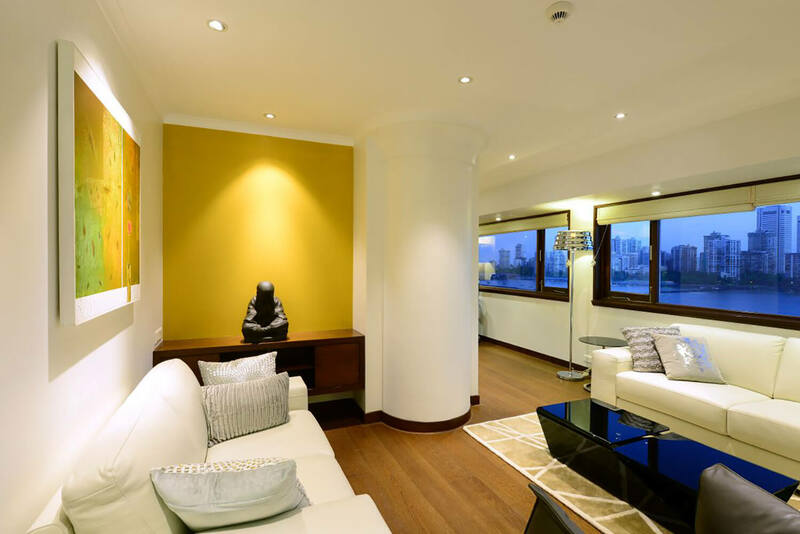 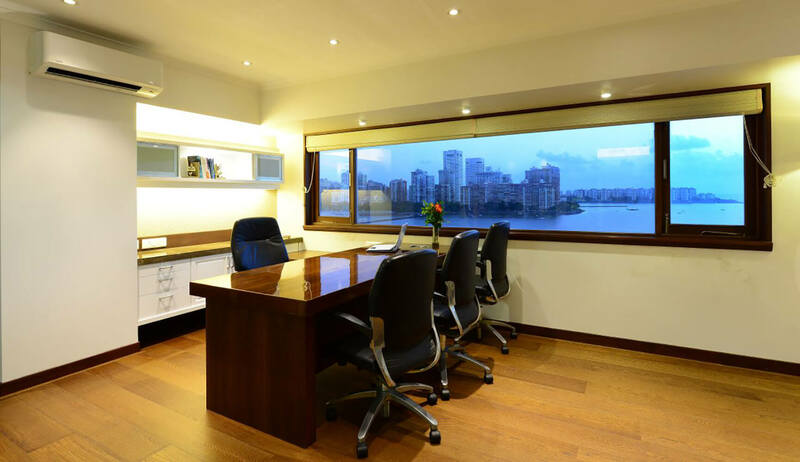 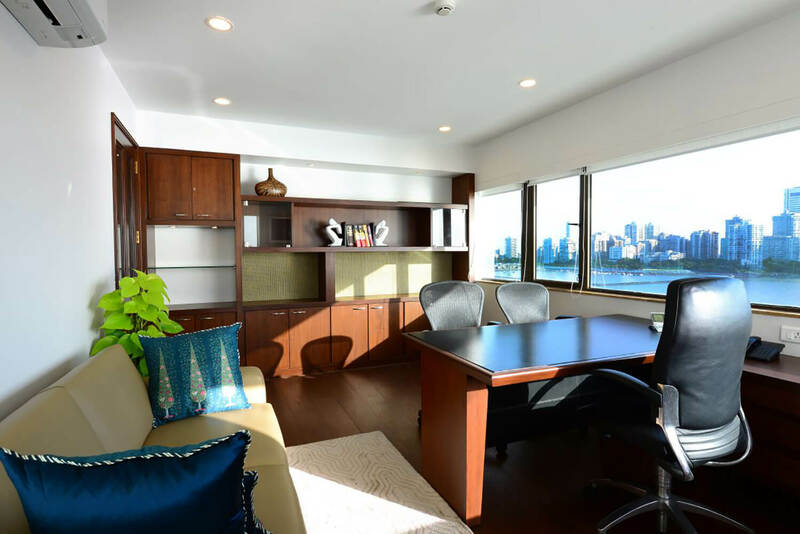 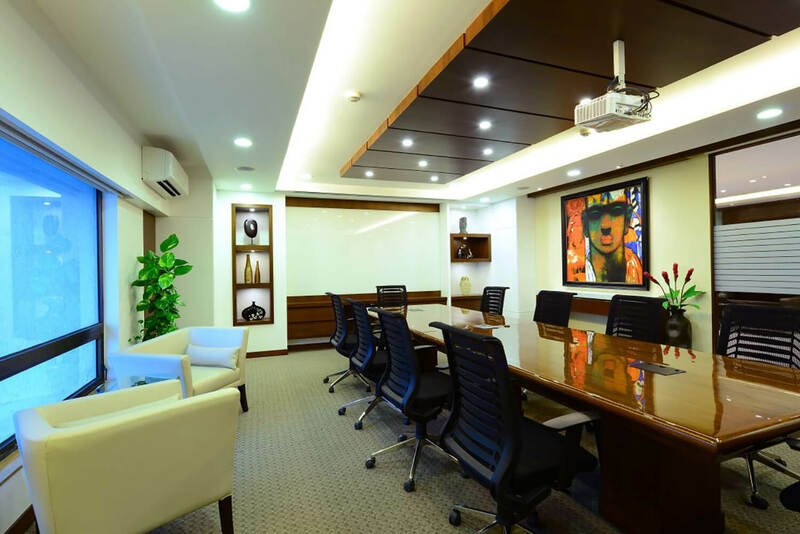 Inseparable from the design – the panoramic view of the Nariman point seascape is inherent in almost every workspace, boosting productivity and enhancing the work environment. 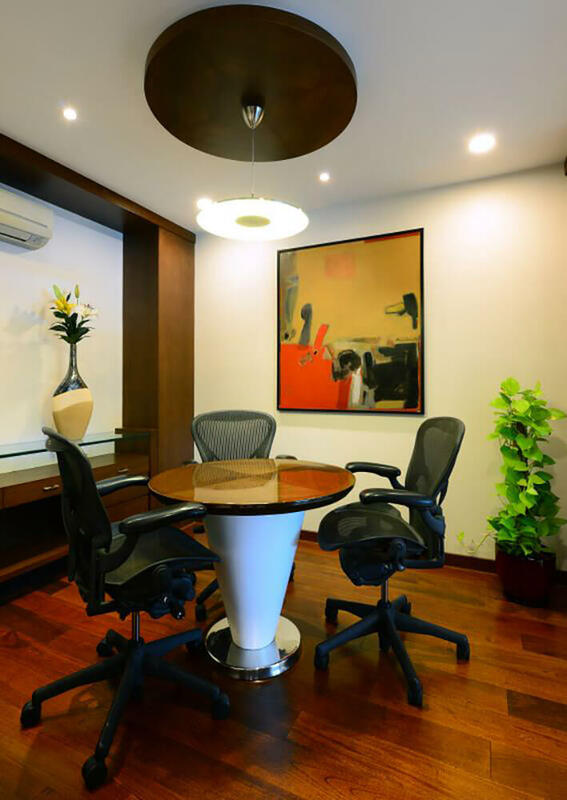 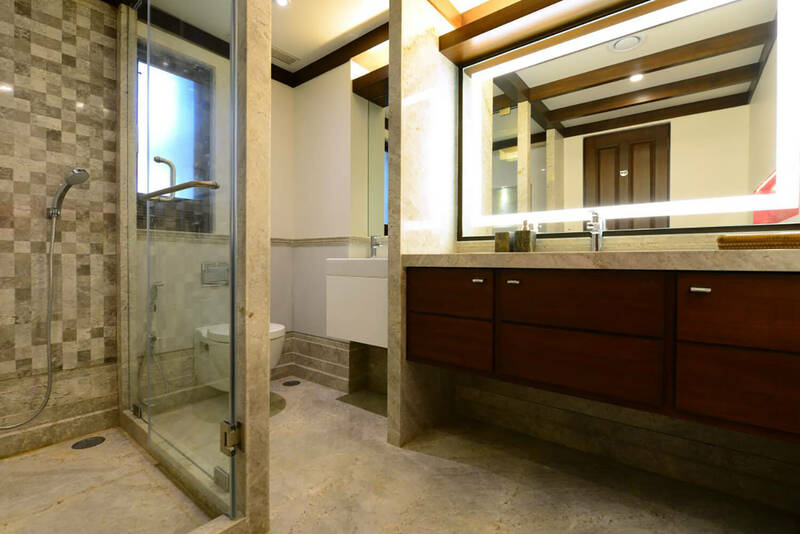 The client’s fearlessness in the design brought about a freedom of expression in conception and execution, coming forth in its unique style. 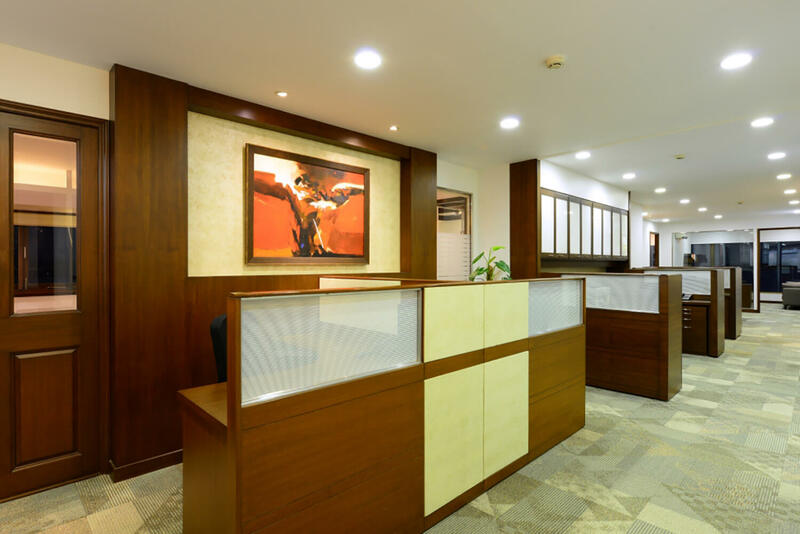 The outsourced Italian furniture and the customized wooden fabrication and finishes, collectively unfold into a holistic design flanked by a high level of detail and precision. 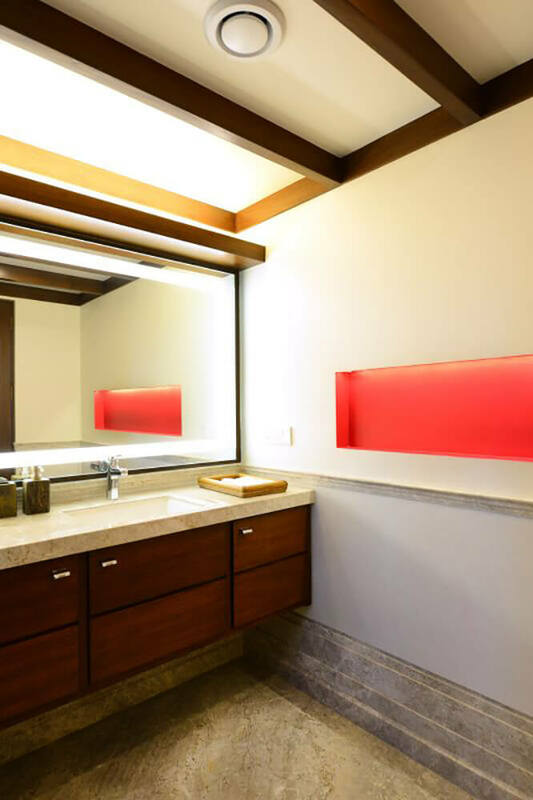 The balance maintained between the vibrant-contemporary furnishings and the subtle yet classical character is fresh and a trend-setter.